At Avon Health Center, we have provided comprehensive long-term care services in a safe and comfortable environment for over 65 years! Many people assume long-term care will not become a factor until later in life, but this statement is often untrue. What are four common myths surrounding long-term care that you should know? The most common misconception about long-term care is that it’s exclusively for elderly people. The unfortunate reality is that long-term care may be needed at any time in life. When unexpected illnesses, serious accidents or injuries occur, you may need round-the-clock medical attention to recover. Another common belief is that Medicare or health insurance will pay all medical expenses. However, this is not the case for most instances of long-term care. Medicare will cover skilled nursing care for up to 100 days during a patient’s recovery after a hospital stay. Once your condition is stabilized, Medicare will cease to pay for additional care. If your family is considering at-home care, have an open and honest discussion before any decisions are made. A family member may offer to help provide care but understand that your loved one’s needs may require a professional caregiver. From medication distribution to helping with the activities of daily living, the responsibility can be a lot for one person who already has a job and other day-to-day obligations. It’s advised you speak with a financial consultant to determine what options your family has and the best course of action to take. 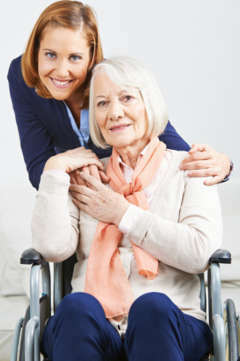 The goal of long-term care is to improve your loved one’s quality of life while in recovery. To discuss your long-term care needs, contact Avon Health Center today! *Connecticut rates may be higher than the national averages.